We are conveniently located about 1/4 mile off Hwy 20 on the corner of north Hwy 21 and Old Kettle Falls Road near Republic. 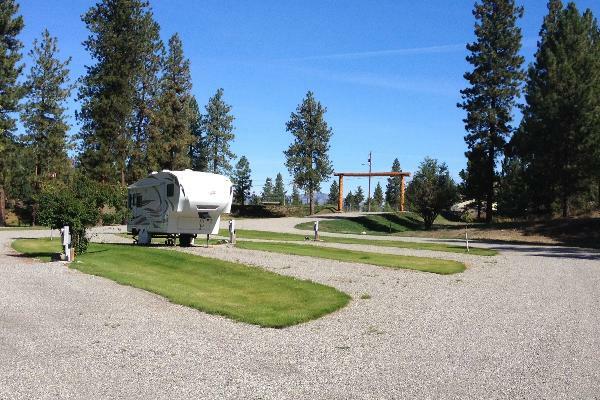 Our RV Park has 21 huge 130' - 140' pull-thru site which leaves you plenty ample room. Each site has a 20-30-50 amp, water and septic hook-up. As a guest you will enjoy free Wi-Fi and our wonderful community fire pit. Our newly built clubhouse offers free showers and restrooms, laundry facility, a community room and a snack vending machine. We are open year around. Please call us for our monthly rates. 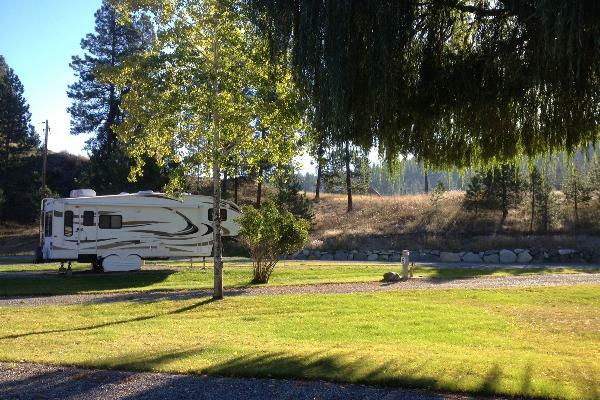 • All RV park fees need to be paid in advance. • Daily & Weekly: Daily & Weekly reservations must be cancelled 3 days prior to arrival to receive a full refund or a fee of $10.00 will be charged. • Monthly: Monthly reservations must be cancelled 10 days prior to arrival to receive a full refund or 1 night's stay at the nightly rate will be charged. $50 utility deposit is required. • Check in Time: RV Check-in time is 12:00 P.M. or anytime a non-reserved site is vacant (an after hour secure registration drop box available). A Manager is also on call for the after hours. • Extended stays: Welcome! We will do our best to accommodate. • Quiet Hours: Silence is golden. Quiet hours are from 10:00 P.M to 7:00 A.M. for the convenience of all our campers. No running of generators at any time except during power outages. Please observe the quiet hours. There is no refund, if you are evicted for non-observance of quiet Hours or disorderly conduct. 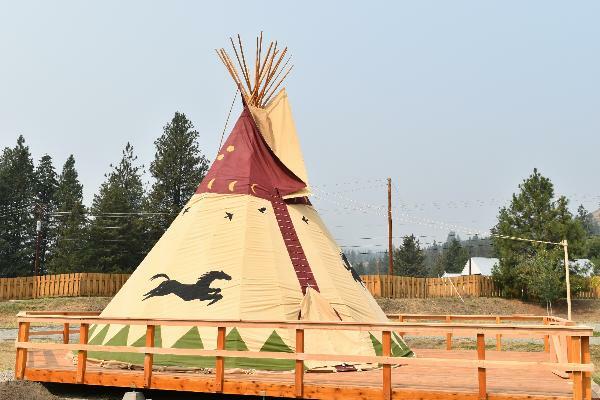 • Alcohol: Responsible use of Alcohol is allowed within your designated campsite, by the community fire place and in the clubhouse to guests at least 21 years of age. Sites with MINORS in possession of alcohol will be evicted with no refund. • Conduct: NO disorderly conduct, offensive language, fireworks or loud music in the park and in the clubhouse. • Firearms: Legal firearms and concealed weapons with proper permits are allowed, however discharging of firearms is strictly forbidden. When stored in a secure location firearms need to be locked at all times during your visit in the RV Park. • Vehicles: Maximum speed in park is 5 MPH. Watch for children on bikes and pets. No ATVs may be driven within the park unless they are being unloaded or loaded. • Pets: Welcome! Your pets are part of your family. Maximum of Two (2) pets per site or more only by manager approval. (Sorry, no aggressive breeds.) Pets must be kept on a leash at all times and may not be left unattended. You will be fully responsible for your pets. Please pick up after your pets. Please do not leave them unattended if your pet is excessively noisy. If your pet disturbs or threatens another guest or employee of the RV Park, the pet will be asked to leave. If you refuse to remove the disruptive pet from the RV Park you will be required to leave the RV Park with no refund. • Site Maintenance: Please keep your site neat and free of litter including cigarettes. There is a dumpster located at the end of the park. Do not place mats on the grass in your site. We request you not leave chairs, games, bicycles or other personal property overnight on lawns that will impede lawn maintenance. 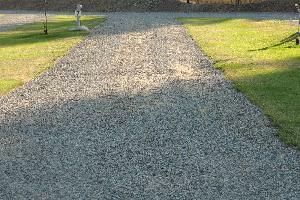 Lawns are watered regularly. Articles left outside may get wet during the watering times. • Safety: For safety reasons, we do not allow clotheslines in our park. Do not hang towels, clothing, linens or other articles from trees. • Campfires: Portable propane fire pits are acceptable as well as barbeques and camp stoves. Open fires are permitted in the group campfire area only if the County allows it, based on current restrictions. No open fires are permitted in individual RV spaces. 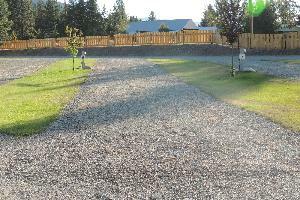 • Site Parking: All vehicles shall be parked on the gravel site pad. Please do not park RVs, bikes, motorcycles, or vehicles on grass. Park only in your assigned site. Don’t drive over the grass. • GARBAGE: All garbage should be put in a tied-closed bag and placed in the provided dumpster at the South end of the park. • WIFI: Free to our guests – password required. • TV: Each site has a TV hook up. If interested, inquire with the manager (for our monthly guests only). • Phone: Each site has a telephone land line hook up. If interested, inquire with the manager. • Video Security system: We have a 24 hour surveillance system in place. Come and see us if you have any questions or concerns. 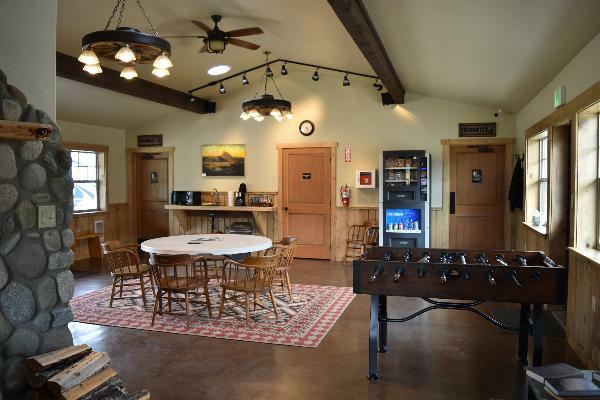 • Clubhouse: The Washroom, Showers, Laundry and a Community room are open to our guests. At the time of check in we will provide you with an entry code to access the building. Please do not share the code with anyone else. We are not responsible for any accidents in or around the building and for any left behind personal property. Sleeping in the building is not allowed. Please do not leave your kids under the age of 16 unattended in the clubhouse. Pets are not allowed in the clubhouse unless they are service or lap dogs. You may use the wood stove at your own risk. Please read instructions before lighting a fire. • Outside structures: Our community fireplace is available to all of our guests, at your own risk. Please check with the manager if any fire restrictions are in place. • Propane service: If you need propane please come and see manager in the office or on the premises. After hours please call 509-775-3700 for service. • Wildlife: At times we have wild animals visiting the RV Park. Please do not feed or pet them. We are not responsible for any damage or injuries that may occur. All Camping units that are 15 years or older need to have management approval if staying longer than 2 weeks. 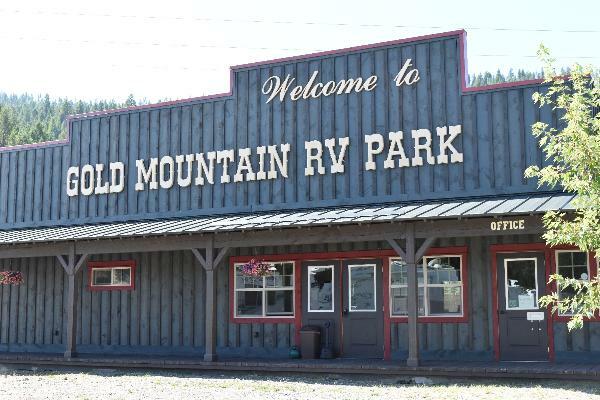 Gold Mountain RV Park will not be responsible for fire, accidents, or loss of personal property/valuables of any kind. Guests accept site rental privileges with the understanding they are responsible for their safety and their children’s safety. If legal action is necessary to remove a Guest or Visitor from the RV Park, the Guest or Visitor will be responsible for any and all legal fees and costs incurred in removing a Guest or Visitor from the RV Park. Venue for any court proceeds shall be in Ferry County, Washington.